 Boats Incorporated removes all the anxiety and unpleasant surprises of purchasing a new boat. Who hasn’t purchased a new car and on the day of delivery discovered a new list of fees and “Oh by the Ways” appear on the closing schedule? The list is endless: Office Fee, Transfer Fee, Loan Origination Fee, etc. When you purchase a new boat from Boats Incorporated, the boat will be delivered to you on the date and time promised and for the price quoted.